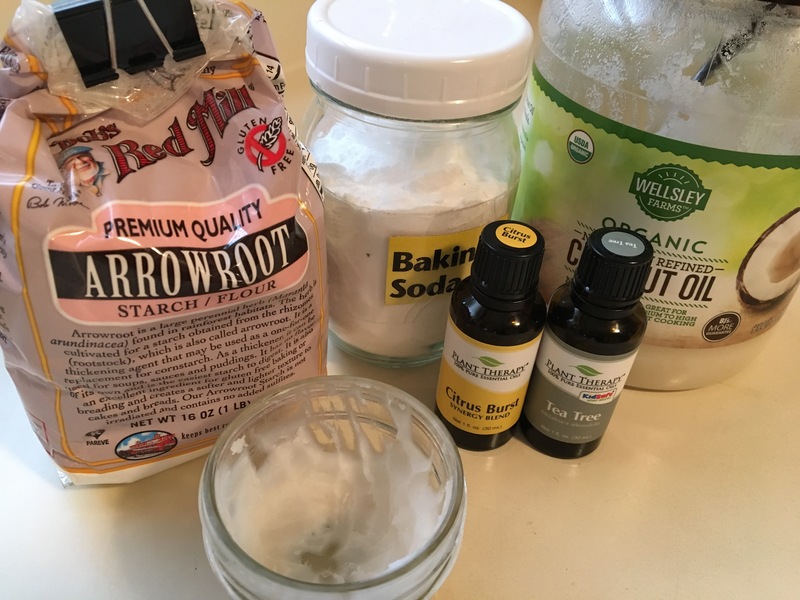 In a way, DIY deodorant was my rite of passage into the world of “crunchy” as some might call it. My mother (who was crunchy long before it became trendy) had told me many times about the dangers of the ingredients in deodorant and the link between aluminum and breast cancer. For a long time, as these things go, I just wasn’t ready to care about it. Until I had a daughter, and suddenly it became very important to me to take care of myself and be around for a long time. So, what’s so bad about deodorant? And isn’t it hard to make your own? Aren’t ya gonna smell bad?? Our bodies need to be able to get rid of toxins. And one of the ways it does this is through sweat. When you think about it, an antiperspirant deodorant is designed to CLOG THE PORES in your armpits so that you don’t sweat, keeping the toxins in. It’s clogging your pores with harmful chemicals that now have a way into your body. You may have recently shaved your underarms, creating tiny lesions in the skin now primed and ready to quickly absorb all the lovely ingredients in your deodorant, which are swept away through your bloodstream. So what can these ingredients do? Aluminum in deodorant causes Alzheimer’s and estrogen imbalance, which is linked to both breast and prostate cancer. Parabens and Triclosan (preservatives) are also carcinogenic. Propylene glycol messes with your central nervous system, heart, kidneys, and liver, and so do TEA and DEA. In fact, these last two have been proven to be so harmful that they have been banned in Europe. 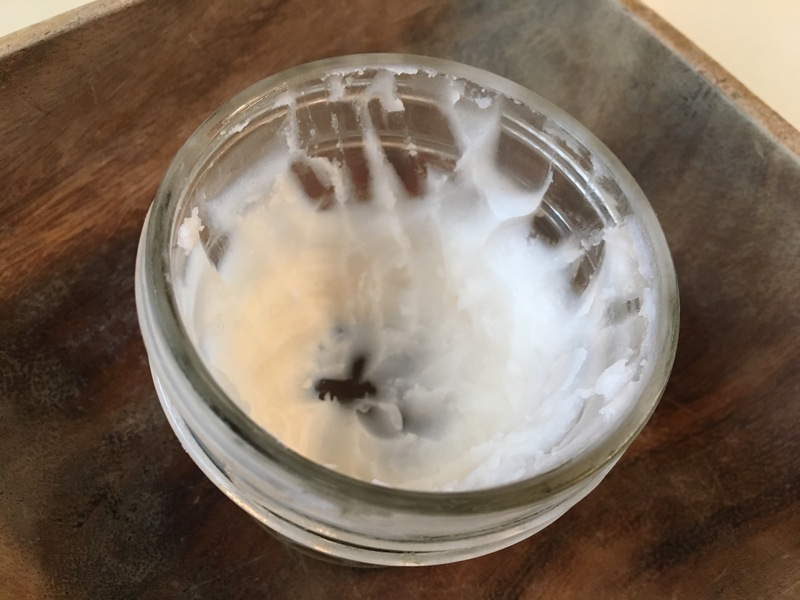 Coconut oil is antimicrobial and acts as a great carrier (holding all the other ingredients together and melting nicely into your skin when you apply it). As you’ll soon find out, killing bacteria here is key. It’s not your sweat that makes you smell, it’s actually bacteria that grows in your armpits when they are damp and warm. Arrowroot powder (I like to think of this as the healthier form of cornstarch) absorbs liquid (aka sweat) keeping you dry. Essential oils can kill bacteria (depending on which you choose) and smell good. Mix them all together and there you go! I keep mine in a little 4oz mason jar and just scoop out a tiny amount with my finger and massage it into my skin. It dries very quickly and smells amazing. Some who switch to natural deodorant experience a one or two week “detox” period, where they might sweat or smell a little as the body is adjusting. You could choose to make the transition more gradual by slowly weaning yourself off of commercial deodorant. I didn’t have this happen to me, so you might not either. But in case it does, hang in there, it’s 100% worth it! Let me know how you like this recipe and how the transition went! Will try this! Seems simple enough! Yes please do and tell me how you like it! Hi Annelies! 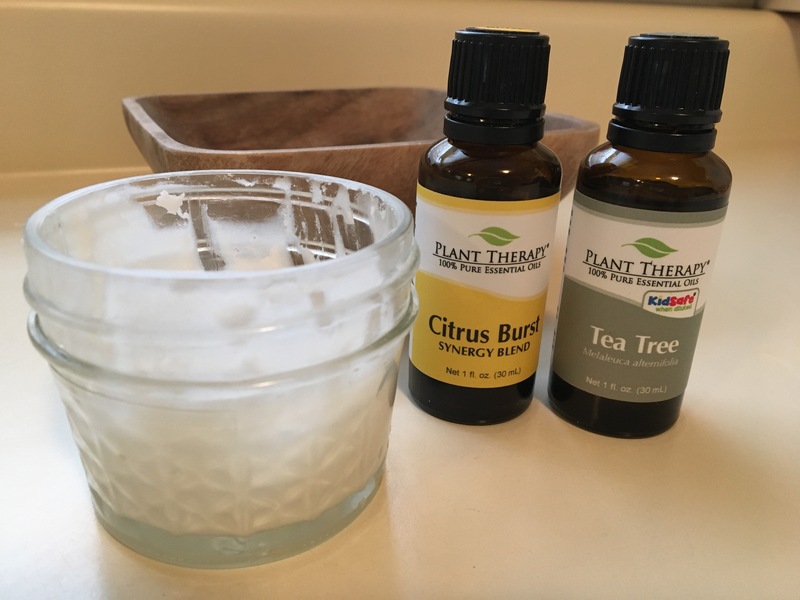 Your deodorant recipe is quite similar to the one I’ve been using for several years, but I am eager to try yours! Our family knew your family in Belgrade and Bratislava (small world). I look forward to following your blog as I’m definitely into crunchy and what you are sharing :). Thanks to Jorden for introducing your blog on FB! Do you think this could be made and stored in twist up tubes? Or is it too lotion like? Thanks!